It has been a while since we posted, and for good reasons. One of them is that we dealt with another bout of sickness in the house filling our nights with mommy-daddy duty. 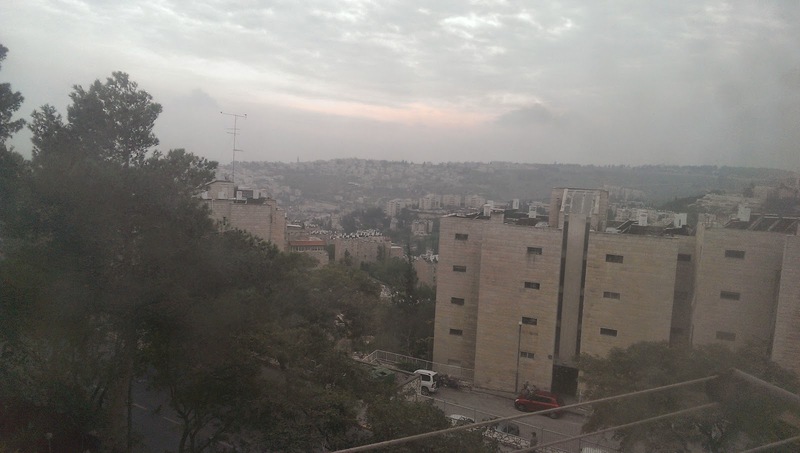 Another is that we took a mini-vacation to Jerusalem--the topic of this post. As many of you know, before making Aliyah, I had never been to Israel. Rachel came twice when she was younger. But it has been a long time, and she is in a very different place in her life now. Visiting Jerusalem has been a top priority for both of us. Even before we committed to making Aliyah, Rachel always talked about how much she wanted to visit Jerusalem with me for the first time. I myself have been preparing and thinking about visiting the Kotel for the first time with my oldest son ever since he was born. As we were making our final plans for Aliyah in the weeks leading up to our flight, we knew that we were going to land on a Wednesday, and then have a full week before starting Ulpan. Awesome--I thought. Plenty of time to make a pilgrimage to the Kotel and visit the Old City. HA! I was wrong. That time was spent doing many other things to adjust to life; there simply was no time for sightseeing just yet. With my hopes dashed of seeing Jerusalem (a few hours north from where we live) in our first few days, I wrote off visiting Jerusalem in my heart for another day. I'd make it there, just not sure when. Afterall, living in a Yishuv in the middle of no-where (aka סוף העולם - "End of the World"), it is sometimes easy to forget that we are in Israel. 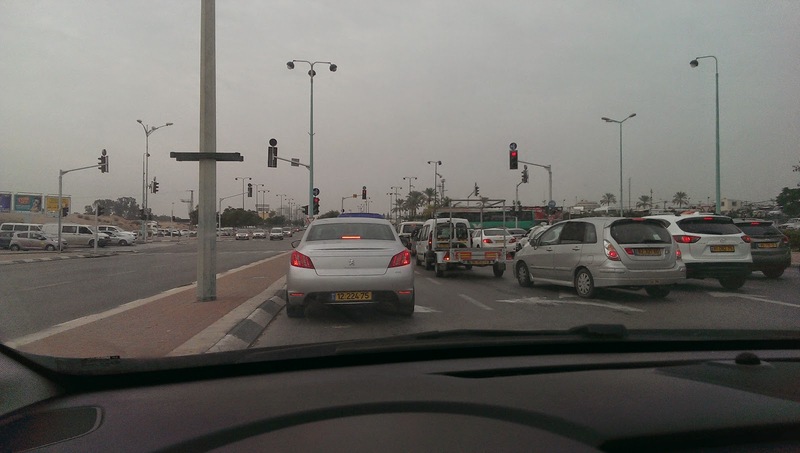 We can go days on end without seeing much beyond our Yishuv and Ulpan. Leading up to our trip, Rachel kept asking me why I was not exuding more excitement. I think it was because I still did not come to grasp with the "where" of where we live. Yup, we really are in the middle of the desert. With some time off for Chanukah, what a great time to visit Jerusalem we thought. 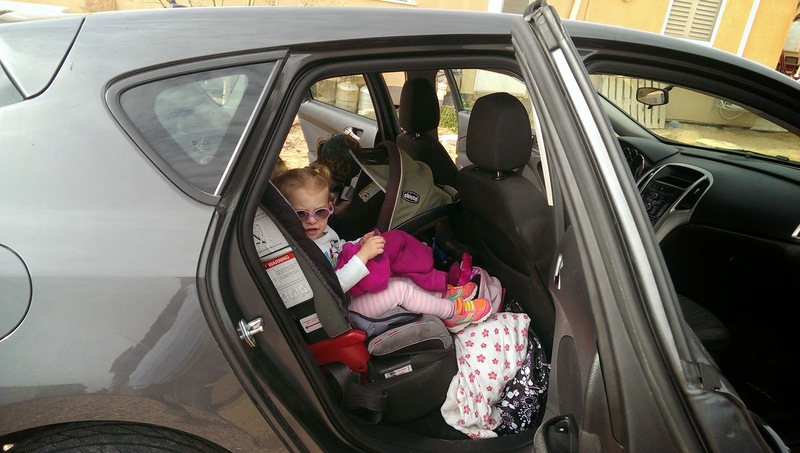 We searched online to find a car to rent, booked it, loaded up, and off we went. The kids were excited. Not only were they happy to get into a car to drive somewhere, they were giddy with excitement for our adventure to Jerusalem. 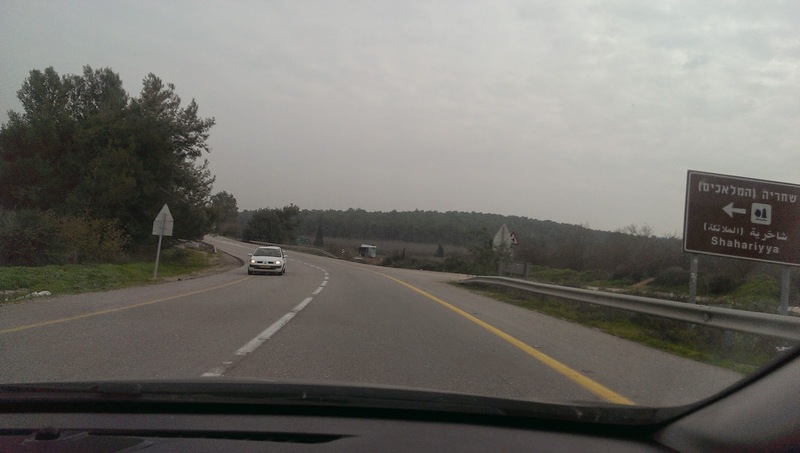 For those of you not familiar with Israeli roads, there is a fairly new highway that runs North-South called כביש שש ("Route 6"). I found out that it is a toll road, and travelling it in a rental car can be quite expensive. Also, I may have understood the lady at the car rental place wrong, but it sounded like I needed to go through some phone prompt system to register to pay the tolls. I had no interest in sifting through a Hebrew touch-tone telephone prompt. Since this was our first opportunity to explore Israel, we found an alternate route that brought us through some AMAZING landscapes. The route went north around Beer Sheva, and then turned east towards the Judean Hills working its way towards Beitar Illit, and then over and around some mountains and into Jerusalem. Even though this route would take longer, we were not in a hurry. 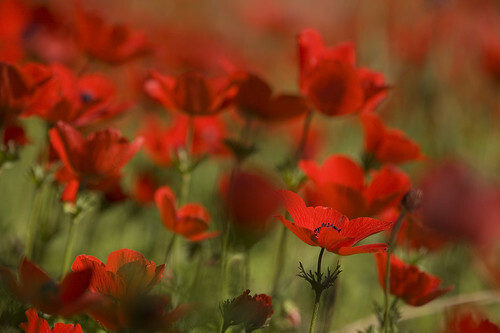 Let's take this chance to drive and admire the land of Israel. And we did. Cellphone cameras do not do it justice. We should have stopped to take some photos with the SLR. Israel is only the size of New Jersey, but it encompasses just about as much a variety in topography as does the whole US. And the exciting thing about our journey was that we got to witness the transitions from desert to grassland to hills to forest to mountains. All in two hours. Had the kids not been in the back seat, we would have made many stops to hop out with the camera. Alas, there are not many pictures to show. But for parts of the trip, I felt like I was travelling through the grassy hills on an postcard of Ireland, and around the bendy mountainside curves of California's Route 1. Simply amazing to see and experience. We arrived in Jerusalem a few hours before Shabbos, and enough time to get settled into our friend's house who would play hostess for the weekend. She lives in Armon Hanatsiv, which is a hillside community that overlooks much of the City. It is a mostly residential neighborhood with (from what I am told) a mixture of religious and non-religious people. For me, I was most taken by the amazing views. Sitting on actual Jerusalem stone. Friday night, I walked to the local shul built into the hillside, and up the Jerusalem stone steps. It struck me that I was not walking into a synagogue trying to recreate the design and feel of Jerusalem. I was walking into the real thing! That night ... ugh ... signaled the latest return of sickness to the Hopkins family. Our oldest was up most of the night getting sick and making lots of laundry. He spent the better part of the next 24 hours lying stationary in bed. Poor kiddo. His excitement to be in Jerusalem was waning. From there, you can see the whole City. Suddenly, it was real. Suddenly it hit me that we were in a place that hostess refers to as "the center of the Universe." Lying before my eyes was the Jerusalem of those dusty-looking photographs on postcards I had seen as a child. Except now ... now it was real. Now Jerusalem was right in front of me. Now I could see it and witness it. And in the morning, we would go there so that we could touch it and experience it. Wow. Waitress: "Do you guys need the English menu?" Sunday morning we got ready and headed off for the day. We had to stop for some breakfast and make a couple stops. Our idea was to make it to the Old City for lunch time, and then head to the Shuk for some food and shopping. HA! I was wrong again. We parked near the Jaffa Gate and walked straight into the heart of the Old City. Vendors lined the narrow ally selling a host of goods. The streets being covered with awnings and being so narrow made me forget that I was outside. It felt like a long-narrow, stair-laden shopping mall. Yeah, there were a lot of steps. My son--the same one that spent the previous day being sick--jumped and bounded his way through Jerusalem. It was a cute moment, and a bit of happiness in him that I will not forget. The entryway into the Old City. See the narrow alley straight ahead? That's one of the main roads. Street sign to the Western Wall. And then, seemingly out of no where, there was a sign for the Kotel. I was not so sure what I was going to feel. Was it going to be bigger than I expected? Smaller? Would I well up with emotion or enter with a void of feeling? Afterall, we were lugging three small (and sick) children and a stroller through a not-so-modern path. 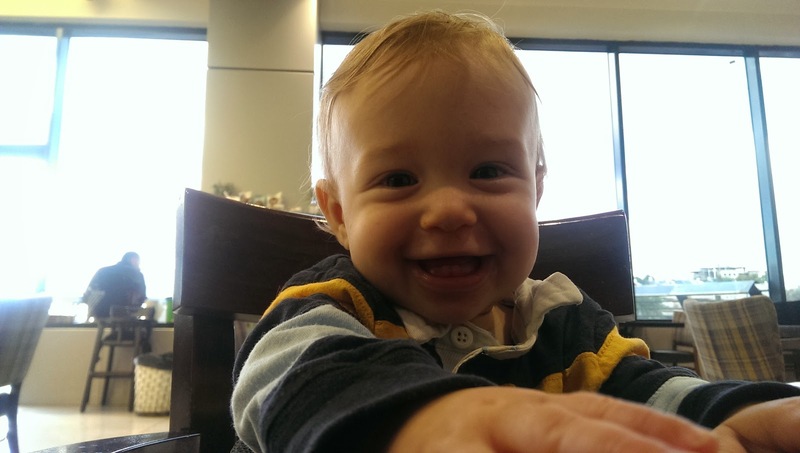 I was fully engaged in the logistical/strategic planning dad-mode, I did not know if I could snap out of it. Maybe I would enter and there would be an anti-climatic let down. We entered. My oldest son went with me to the men's side. My wife took my daughter and the baby to the women's side. We walked in, and I was struck by silence. Yes, there were lots of people about. Praying. Talking. Etc. This was afterall the week of Chanukah, and the weekend before Christmas. A busy time of year in the Holy Land, with lots of people about. There must have been a lot of noise. But I heard none of it. For me, there was no sound. And then my feet could not move. In the middle of the men's side, I stood frozen. I did not move forward, nor did I move backward. My mind was blank as if there were no thoughts running through my head. I was not sure what I was supposed to do. Time was still. I wanted to move but I could not. In an instant, I snapped out of it and swooped up my son. I grabbed him tight and cried. We made our way to the Wall. I found a guy standing by a large table with several Siddurim laying out. I asked him in my broken Hebrew if I could borrow one. He handed me a Siddur. I found an open spot about three stones from the left-most part of the Wall. I leaned forward, kissed the cold smooth stone, and laid my head on the Wall as have millions of pilgrims before me. After some period of time, I walked away from the Wall and heard a minyan forming for Mincha. I jumped in and said Kaddish. A lot went through my brain and my heart in those moments. Honestly, I am not going to write too much more just because I would not know how to explain myself. Joy and sadness. Pride. Awe. 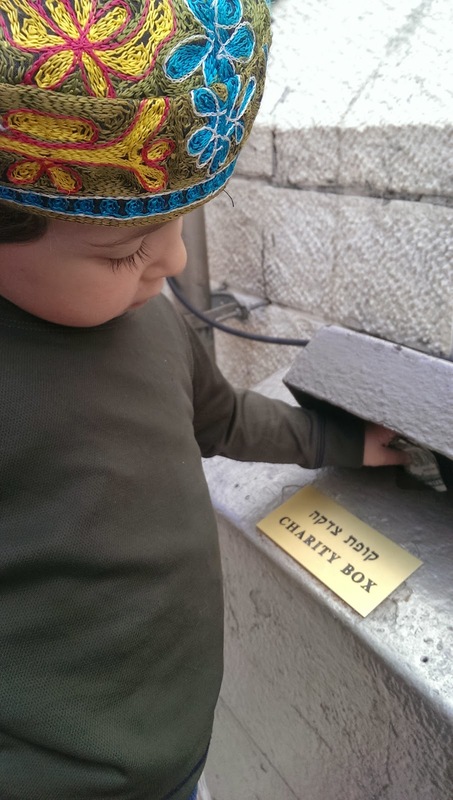 As we were leaving, my son pulled out two dollars that had been given to him in the States to use as Tzedakah. He gladly folded the bills and slipped them into the pushke. A smile came to his face. The rest of our journey was more exhaustion and sickness. We never made it to the Shuk, and all of our other children proceeded to get sick. We even managed to get our gracious hostess sick. We eventually packed our things up, and trekked back down South. Fulfilled, yet tired. 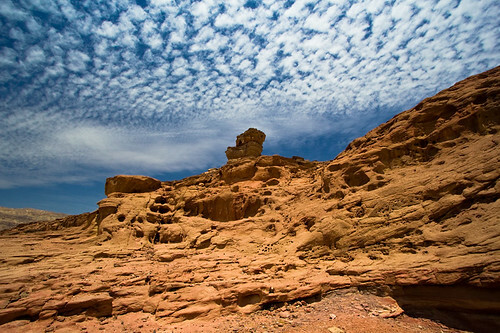 (3) Our "home" is in Israel, it is located in the the Negev, and coming back to it reaffirms our decision to make our lives in this tiny little village tucked away in the desert called Kfar Retamim.